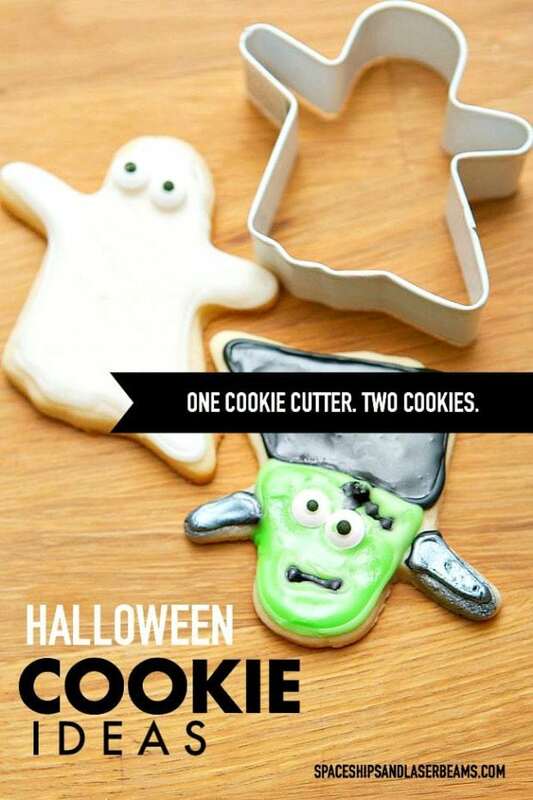 One cookie cutter. Two creatures. Does that sound monstrous? Nah—it’s a pretty cool trick! 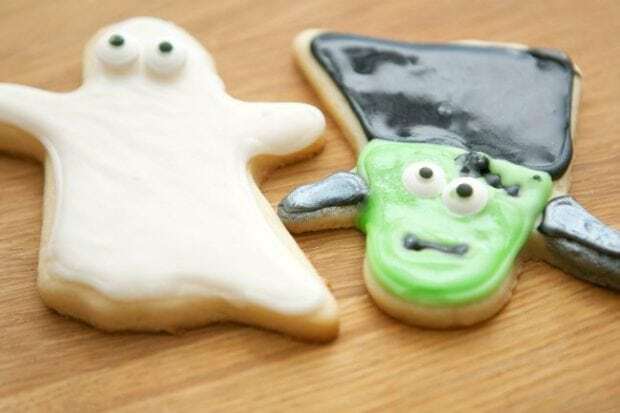 I used my ghost shaped cookie cutter to make Casper’s cousin and Frankenstein. The cut-out process is identical. The magic happens with your decorations. 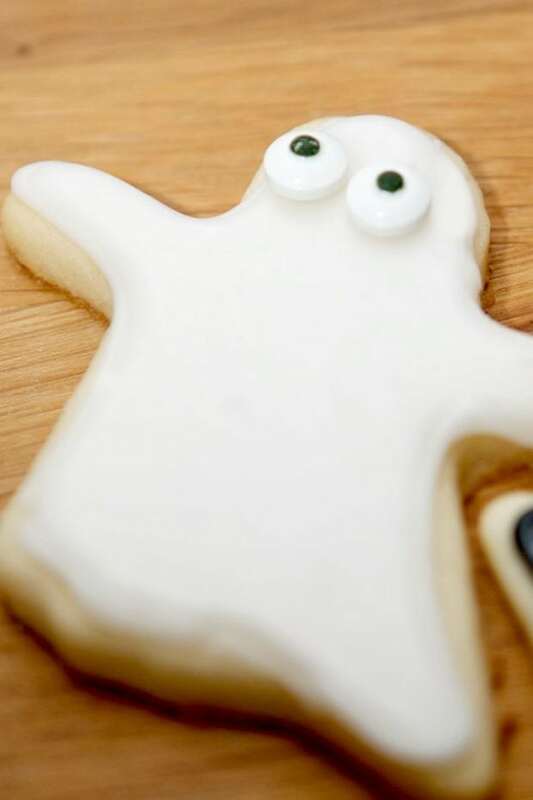 If you’re getting ready for a Halloween party dessert table, this process would make preparations even easier. Two-for-one: Halloween bewitchment! Halloween is full of sweets and treats. 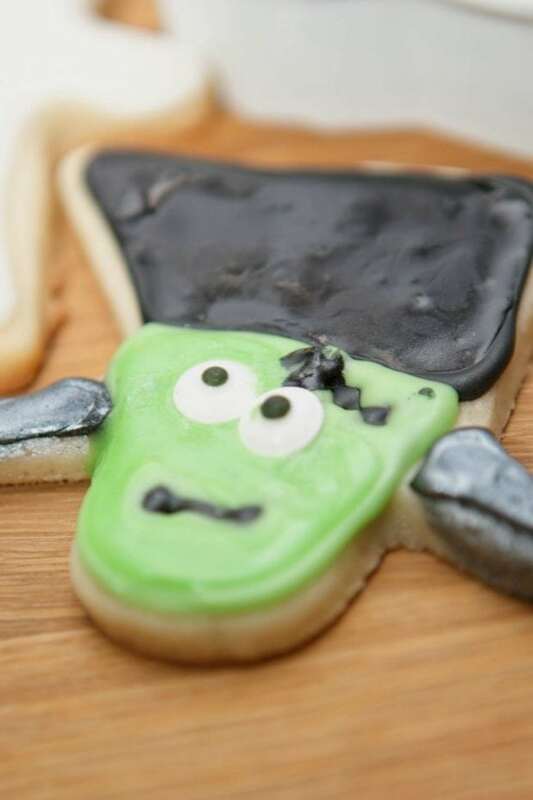 Why not sneak in one of these 15 Kids’ Healthy Party Food Ideas for Halloween. Use the piping bag with a Wilton #3 tip. Add the black mouth and scar before his face is covered with the green icing. 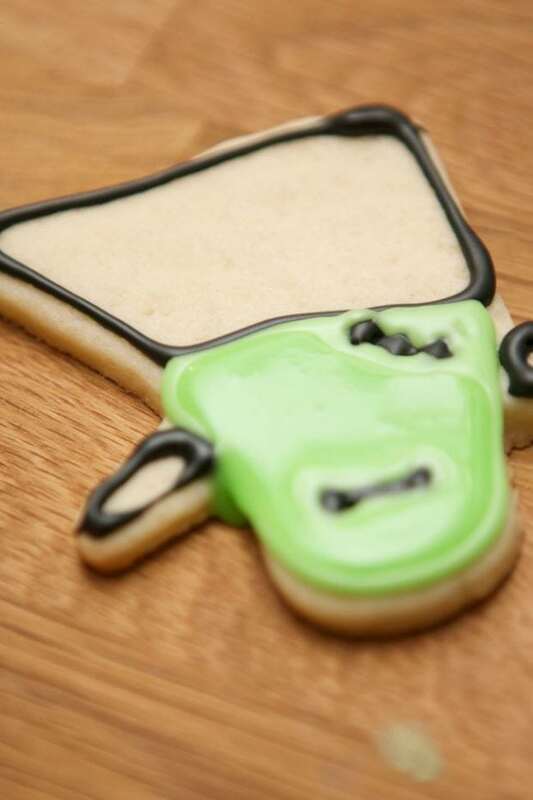 Add google eyes before the icing dries. Edible silver spray for Frank’s bolts is a fun touch. 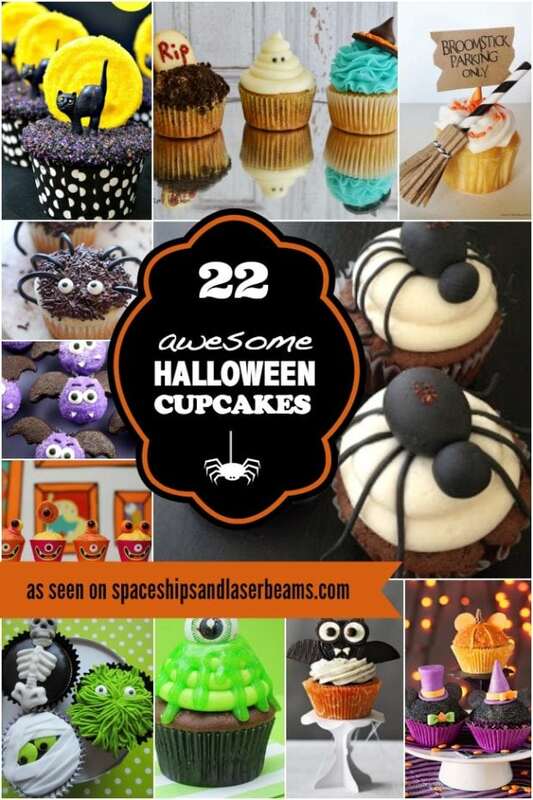 Create a spooky fun Halloween treat kids will love with these great sources gathered by the team at Spaceships and Laser Beams.